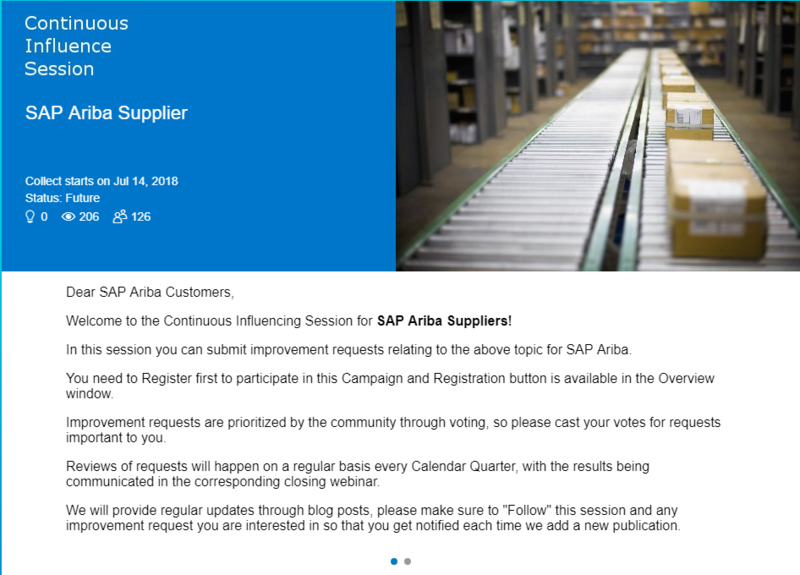 I hope there will be a lot of other Suppliers who will start to submit their improvement requests relating to the SAP Ariba Supplier solution on July 14th. Moreover make sure to read the requests which are submitted by others and vote for them, if they also help you! 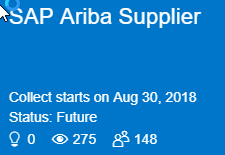 Update 07-11-2018: Tonight I received the notification mail saying: “Improvement request submission and voting is about to start for project “SAP Ariba Supplier””…when visiting the project, the collection date changed to July 30th, though! Nevertheless, stay tuned! Update 09-03-2018: Collect starts on Sep 29, 2018…yet another delay?